As a FACCNE corporate member, you can bring qualified employees from anywhere in the world into the US, swiftly and cost-effectively, through our J1 visa programs for training purposes, for a period of up to 18 months. 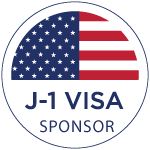 The FACC network offers three J-1 visa programs: Student, Young Professional and VIE (Volontaires Internationaux en Entreprise). The French-American Chamber of Commerce is proud to have sponsored qualified candidates for international exchange for nearly half a century. As an Exchange Visitor Program sponsor, we actively promote the mission of the Fulbright-Hays Act of 1961 which aims to increase mutual understanding through exchange experiences. This program utilizes the J-1 visa, which is a non-immigrant visa issued by the United States Department of State. The Exchange Visitor Program encourages cultural exchange by allowing exchange visitors to come to the United States for up to 12 months as Interns or for up to 18 months as Trainees to participate in full-time, paid, practical training programs at eligible FACC member companies. These programs are extremely beneficial for both candidates and host companies and serve to further understanding and diplomatic ties between the U.S. and the world. Our candidates gain valuable experience in fields as diverse as finance, engineering, law, communications and tech, while our host companies get the benefit of top international talent while helping to train the leaders of tomorrow. For more information, please email icdp@faccnyc.org or membership@faccne.org.